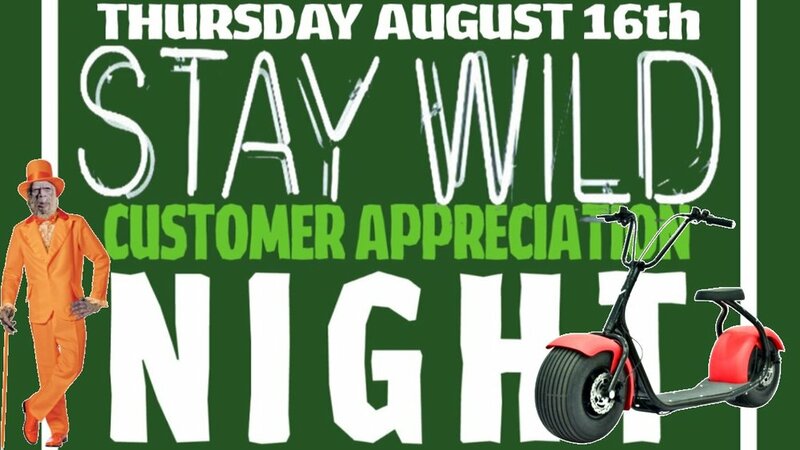 Customer Appreciation Night, August 16th! *Win an electric fat tire scooter! Free entry-be there before midnight for a chance to ride away in style! *Drink deals all night long!